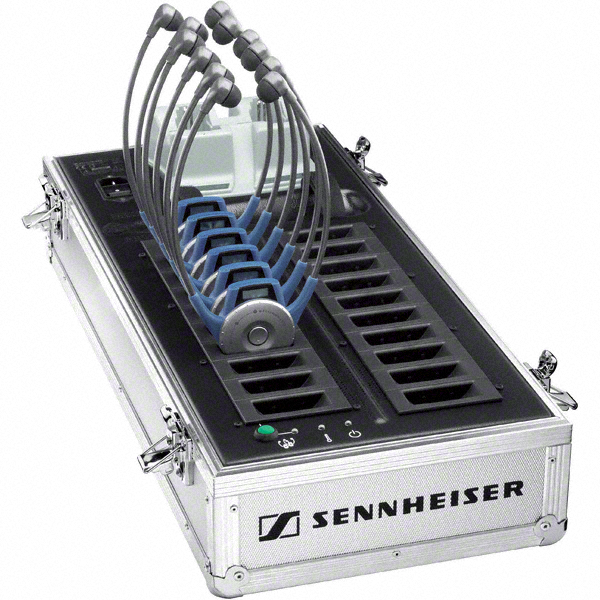 Vice Versa rents cutting-edge Sennheiser interpretation equipment – the ideal solution for meetings, conferences, general meetings, conventions and forums. The equipment includes a carrying case, a multichannel microtransmitter into which the interpreter speaks in a low voice, and 20 receiver headsets. The charging case has been designed for ease of use, and serves both as a storage case for the equipment and as a charging station for the transmitter and receivers. The Infoport case is equipped with charged headsets and spare microphone batteries. For custom service, please contact us at 289-232-4985 or viceversa@seo-ont.ca.